The US is home to some of the best zoos and aquariums in the world – pretty much every medium to large-sized city has one of each. For starters, I highly recommend checking out my podcast interview with Jon Wassner, author of “America’s Best Zoos.” As you may already know, there is actually nothing as good as taking some time out with your family and getting to shower them with love by taking them to the best zoos and aquariums in the US. Your family will be able to have a great time out and as you well know this can go a long way in bonding the family members together and this is the dream of every parent. You need to take advantage of these good conditions to go out there and have a really great time, you and your family, of course, since you only live once in this world! Kids love sea life and animals, so why not bring the family along for the ride? Of course some are much better than others so here are our favorites. See the African penguins at the Georgia Aquarium, as mentioned below. This world-famous 100-acre zoo houses over 3,700 animals, including three giant pandas. They also have several Galapagos tortoises, 24 koalas, meerkats, warthogs, Bornean sun bears, lions, giraffes, elephants, sea lion shows, polar bears, gorillas and so much more. They also own the nearby San Diego Zoo Safari Park, which is 30 miles away and is ranked as the 19th most-visited zoo in the country. Admission is $42 for adults and $32 for children. This Chicago zoo was founded in 1868, making it one of the oldest zoos in the country. It’s spread across 35 acres and home to 1,250 animals, including polar bears and penguins. It’s actually one of 5 other zoos in the area. Their Nature Boardwalk exhibit offers opportunities to spot rare migratory birds, like black-crowned night herons, and take in unspoiled views of the Chicago skyline. You can see gorillas and chimpanzees up close at the $26 million Regenstein Center for African Apes, and pygmy hippos, dwarf crocodiles, and the zoo’s first red river hog at the 75,000-square-foot Regenstein African Journey. Admission is free of charge. The Saint Louis Zoo opened in 1904 and has grown to feature about 20,000 animals from over 650 species including Asian elephants, Amur tigers, Chinese alligators, lemurs, snow leopards, penguins, polar bears and Red Kangaroos. Eleven sea lions call the $18 million Sea Lion Sound home, where they can be seen swiming overhead from a clear, 35-foot underwater tunnel, the first in North America. Children will enjoy a ferris wheel and a train that provides transportation around the zoo. Admission is free of charge. This 90-acre zoo is home to 6300 animals from 793 species. Director emeritus Jack Hanna has become the spokesperson of this popular zoo. See five generations of gorillas, polar bears, brown bears, African Leopards, Asian elephants and so much more. In 2014, the zoo opened the Safari Africa, where lions, zebras, and giraffes roam over 50 acres of land resembling the Serengeti. The zoo also owns an 18-hole golf course called Safari Golf Club, the Zoombezi Bay water park and Jungle Jack’s Landing amusement park. Admission is $14.99 for adults, $10.99 for seniors and $9.99 for children. One of 5 Chicago zoos, here at this 216-acre zoo is where you will find 2300 animals from It was the site of the first indoor, multispecies exhibit and still has one of the world’s largest today: Tropic World houses primates from three continents. Spider monkeys scamper through the South American area, white-cheeked gibbons swing from tree to tree in the Asia section, and western lowland gorillas hold court over the African forest. Great Bear Wilderness, the zoo’s newest and largest exhibit, gives visitors a close look at animals they’d be more likely to find in a national park: grizzlies, bison, bald eagles, and Mexican gray wolves. Admission is $15 for adults, $10.50 for seniors and $10.50 for children. Since opening in 1889, this zoo has grown to include 2,000 animals from 400 species, spread across 163 acres and located 20 minutes from the National Mall. 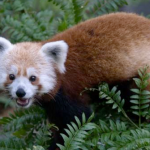 See their 2 giant pandas, red pandas, Oriental Small-clawed otters, Asian elephants, 4 ring-tailed lemurs, 6 orangutans, 6 gorilas, California sea lions, Grey seals, Harbor seals, gibbons and meerkats. Admission is free of charge. Located in St. Paul, MN, this zoo opened in 1897 and also features a park, amusement park, golf course, a pool and much more. Animals include giraffe, lion, orangutan, penguin, polar bear, reindeer, seahorse, seal, sea lion, tiger, zebra, cougar and bison. 2013 marked the opening of the Gorilla Forest, featuring a 10,000-square-foot outdoor area where the animals, plus five new gorillas, can climb, play, and take it slow. Admission is free, but a donation of $2 for children and $3 for adults is suggested. At 265 acres, NYC’s Bronx Zoo is America’s largest urban zoo. See lemurs, mongooses, Nile crocodiles, hissing cockroaches, zebras, giraffes, lions, over 20 western lowland gorillas. Little kids will love a ride on the Bug Carousel, a merry-go-round with grasshoppers, praying mantises, and other insects instead of horses. Admission is $16 for adults, $14 for seniors and $12 for seniors. This 80 acre zoo was founded in 1986 and is home to nearly 4,000 animals including African penguins, bald eagles, California sea lions, harbor seals, polar bears, hyenas, wolves and jaguars. Gibbons, fishing cats, tapirs, flying foxes and Asian elephants make up the $50 million, 10-acre Toyota Elephant Passage, which opened in 2012. They also have the first natural gas-powered zoo train in the US and the endangered species carousel. Admission is $15 for adults, $12 for seniors and $10 for children. The Houston Zoo is a 55 acre zoological park with 6,000 animals from 900 species, featuring the komodo dragon, alligators, sea lions, jaguars, Asian small-clawed otters, baird’s tapir, grizzly bears, mandrills, warthogs, red pandas and many more. They invested $40 million in the 6.5-acre African Forest, where chimpanzees, white rhinos, cheetahs, and giraffes now roam. Admission is $13 for adults, $9 for children and $7 for seniors. The Atlanta aquarium was the world’s largest aquarium when it opened in 2005 and it has grown to house over 120,000 animals, representing 500 species. It’s housed in a 550-square foot facility and it was opened with the help of billionaire Bernard Marcus, who is a co-founder of Home Depot. See everything from the only whale sharks on display in the US and beluga whales to bottle nose dolphins, sea otters, and African penguins. Admission is $29.95 for adults, $25.95 for seniors and $23.95 for children. Located in San Francisco at the California Academy of Science, which is among the largest museums of natural history in the world. See over 38,000 animals from around the world, including 20 African penguins, sharks, stingrays, piranhas, and an albino American alligator. Admission is $29.95 for adults, $24.95 for seniors and $19.95 for children. Chicago’s aquarium opened in 1930 and has grown to include over 32,000 animals and over 1,500 species, which range from Pacific white-sided dolphins and belugas to Magellanic and rockhopper penguins, sea otters, and sea lions. Admission (only includes a small portion of the aquarium) is $8 for adults and $6 for children. This California aquarium offers 550 different species in more than 100 tanks. Enjoy interactive exhibits including touch pools, underwater cameras and child-sized microscopes and discover the three-story kelp forest, the first in the country, and a million-gallon tank housing tuna and sharks. Also see seahorses and African blackfooted penguins. Admission is $34.95 for adults, $21.95 for children and $31.95 for seniors. The New Orleans aquarium has made a nice recovery from Hurricane Katrina. It features African Blackfooted penguins, exotic birds such as parakeets, sea otters, white crocodiles and even a hurricane simulator. Discover a Caribbean reef with a walk-through tunnel and a 400,000-gallon tank with sharks and tarpon. Kids get hands-on experience with sea creatures in a touch pool at the Animal Grossology exhibit. Admission is $22.95 for adults, $17 for seniors and $16 for children. Baltimore’s National Aquarium features open areas where visitors interact directly with animals. The dolphin shows revels the hand signals trainers use and touch tanks allow kids and adults to feel the skin of the aquarium’s coolest residents. The aquarium houses more than 16,000 creatures including puffins, two-toed sloths and sharks. Ranked No. 1 by Coastal Living and No. 10 by “Parents.” Admission is $34.95 for adults, $29.95 for seniors and 21.95 for children. Located in downtown Houston, this 500,000 galloon aquarium opened in 2003 and houses over 200 species of aquatic animals and features a popular restaurant where guests can view the aquariums while dining. Exhibits include alligators, lionfish, bullfrogs, clownfish, macaws, stigrays, nurse sharks, bamboo sharks, and even white tigers. Admission is $9.99 for adults, $8.99 for seniors, and $6.99 for children 2012. See over 11,000 animals from over 500 species (including over 150 sharks and rays) at this 5-acre aquarium in Long Beach, CA. Exhibits are home to seals, sea lions, sea otters, black tip reef sharks, zebra sharks, and Magellanic Penguins. They recently debuted a new NASA show in their Ocean Science Center. Admission is $25.95 for adults, $14.95 for children and $22.95 for seniors. Located in Boston, MA, this 75,000 sq. ft. aquarium is home to over 20,000 animals comprised of 600 species. It opened in 1969 and has grown to include 7 Northern fur seals, sharks, stingrays, African penguins, and Australian spotted jellies. Admission is $24.95 for adults and $17.95 for children. This 85,000 sq. ft. South Carolina aquarium is home to leopard sharks, bonnethead sharks, stingrays, Pacific giant octopus, piranhas, redtail catfish, poison dart frogs, and younger guest will especially enjoy the Sea-For-Yourself Discovery Center, where horseshoe carbs can be held. Admission is $21.99 for adults and 11. 99 for children. Also check out this post with my personal opinion on the 25 Best Aquariums In America!